Remember when I started our bathroom renovations?! Almost a year ago! 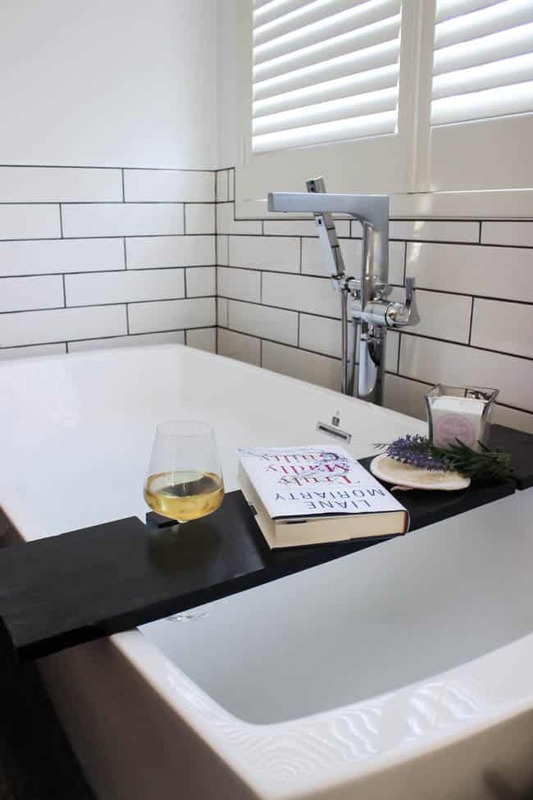 This bath table is the final DIY project from that space. 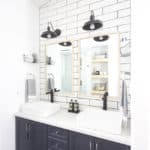 What’s an amazing bathroom without beautiful bathroom accessories? When we renovated our bathroom, I briefly considered getting rid of the bathtub altogether, but I just couldn’t part with it! 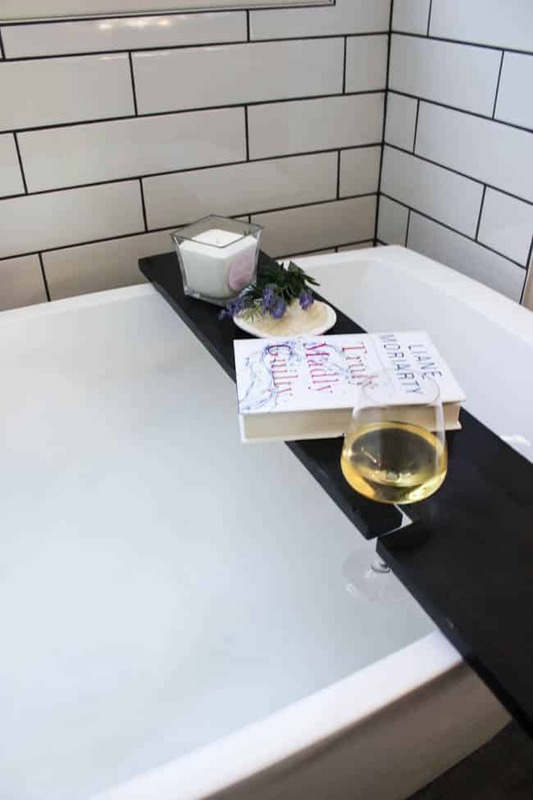 Nothing relaxes me like a warm bath, a candle, a book, and a glass of wine. So clearly I had to join them all together with a bath tub wine glass holder! 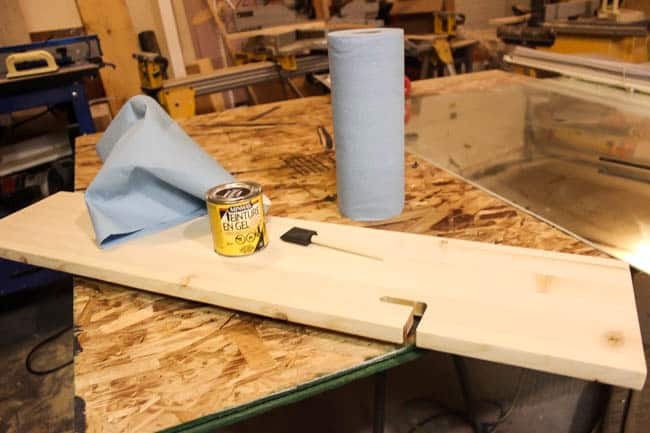 How Do You Build Your Own Bath Table? 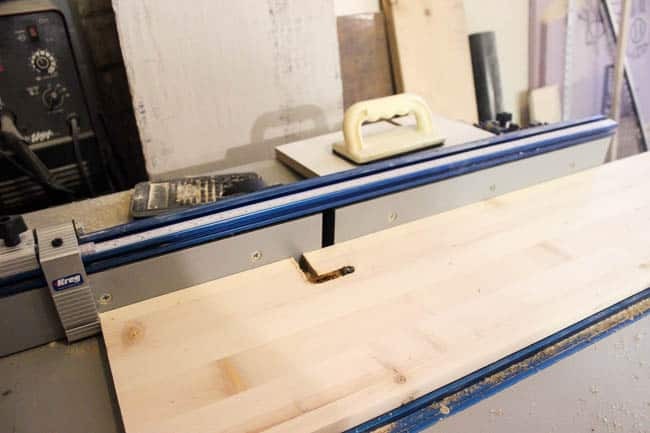 Using a router table, scroll saw, or jig saw cut a 1/4″ wide grooved “L” into the board. 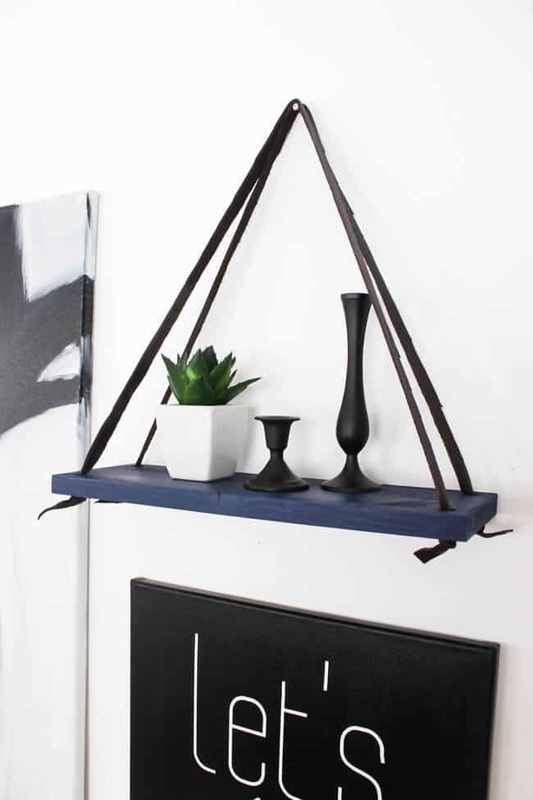 If desired, you can use a drill bit and drill a 1/4″ diameter hole at the end and at the 90 deg corner of the “L” to assist in cutting out the “L” shape. 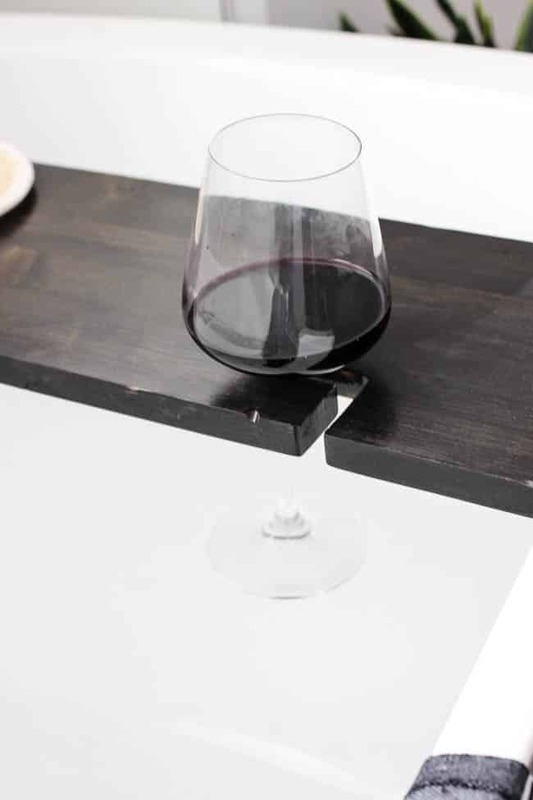 [Note: if your wine glasses have wider stems, you will need to make a wider groove!]. Our grooves were 10″ from the centre of the board. 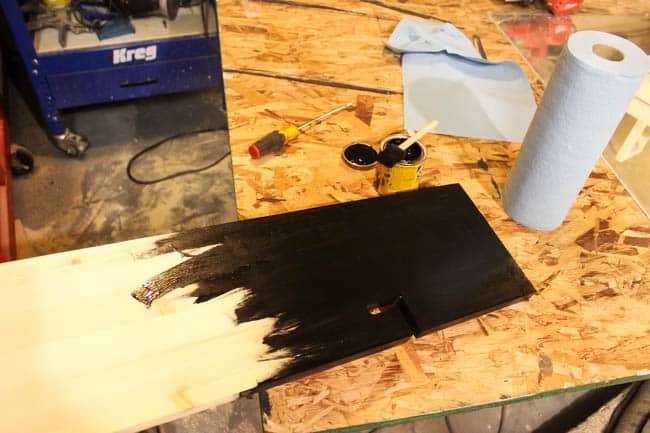 Cut two 1.25″ x 5″ guides to go on the underside of the board (to prevent the board from sliding off the tub). Attach the guides to the underside of the board. They would be set at 1/4″ smaller than the inside width of the tub. The inside of our tub was 27″, so our guides were set at 26.5″ apart. 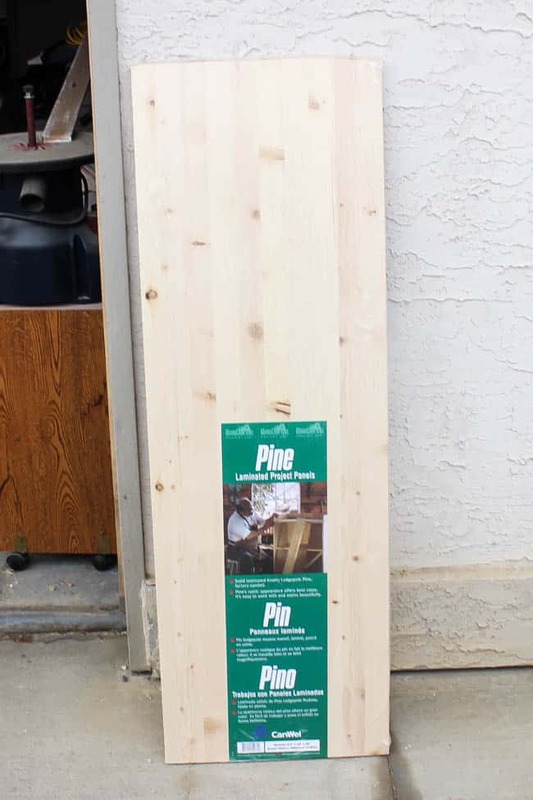 Use finish nails and glue to attach the guides to the bottom of the board. 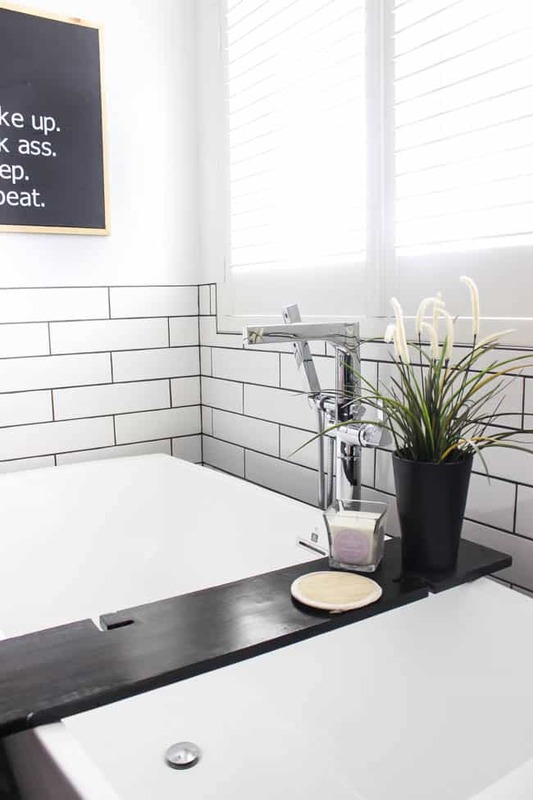 Sand and finish the bath tray to your desired look. I used my favourite dark stain. 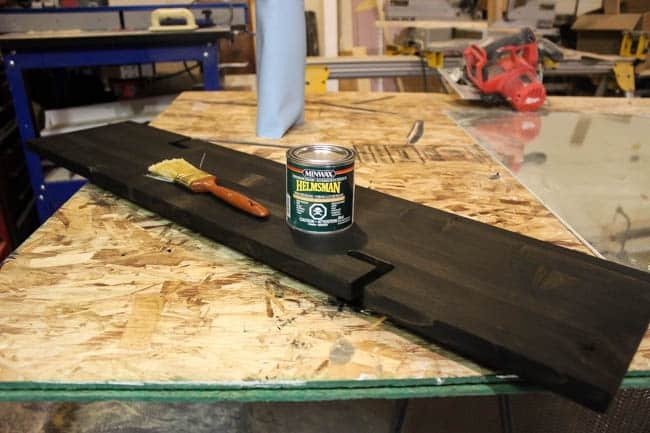 Then use a waterproof/resistant urethane to finish bath tray (as it will be in a wet environment). 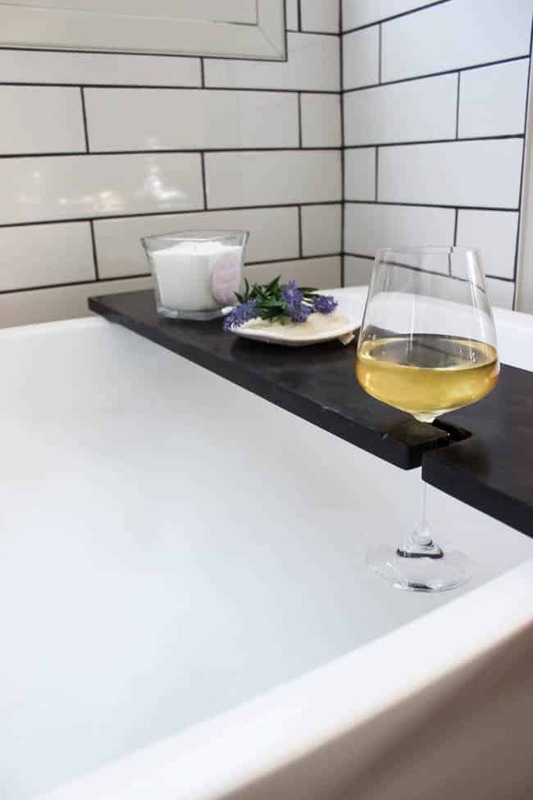 Once you have a wine glass holder for the bathtub, you’ll never want to go without! lol. 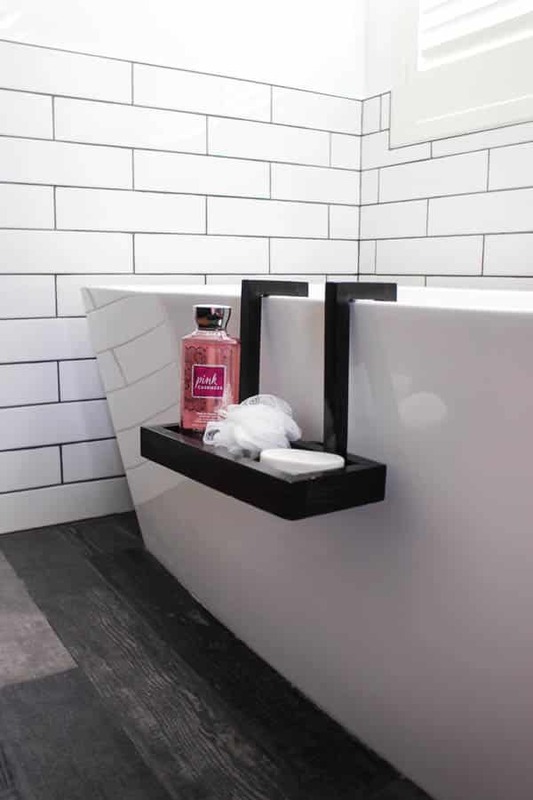 If you don’t want a tray overtop of you, try our our simple Bath Caddy! 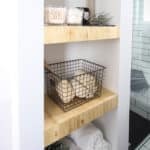 Or if you have more scrap pine board, try this simple Hanging Shelf! 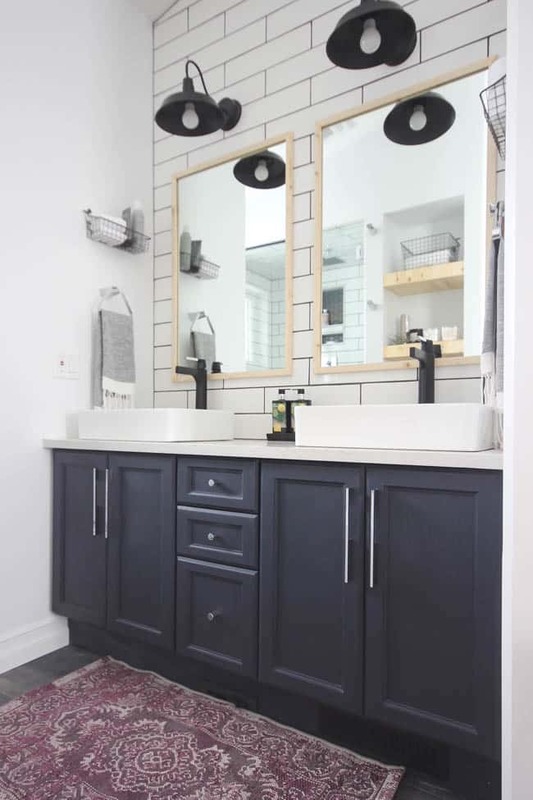 Don’t forget to check out the rest of our Master Bathroom Renovation! I love the idea and very creative. 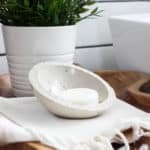 Thank you for sharing such a wonderful post! This is fantastic! 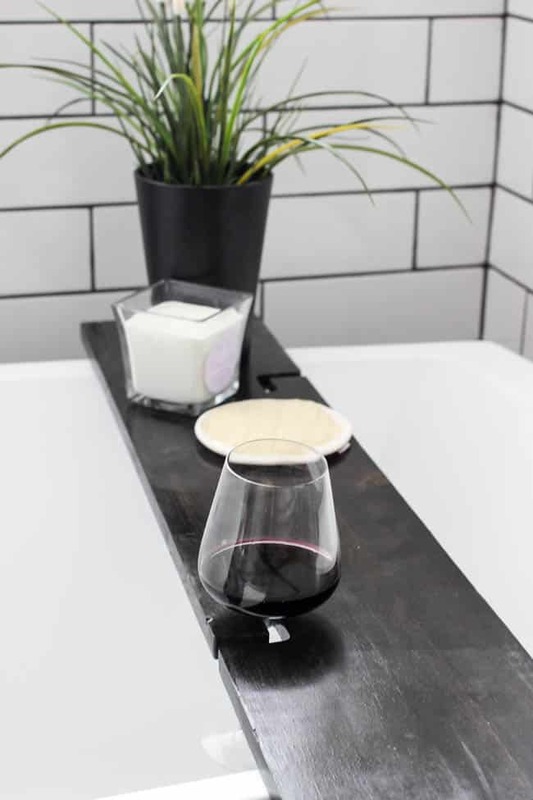 I love that you added a wine glass holder. Now if you can just help me figure out how to keep the kiddos from asking me 20 questions (each) when I get in the bath. Lol! Haha, that’s why I save all my baths until after the kids go to bed, lol. Best idea ever!!! 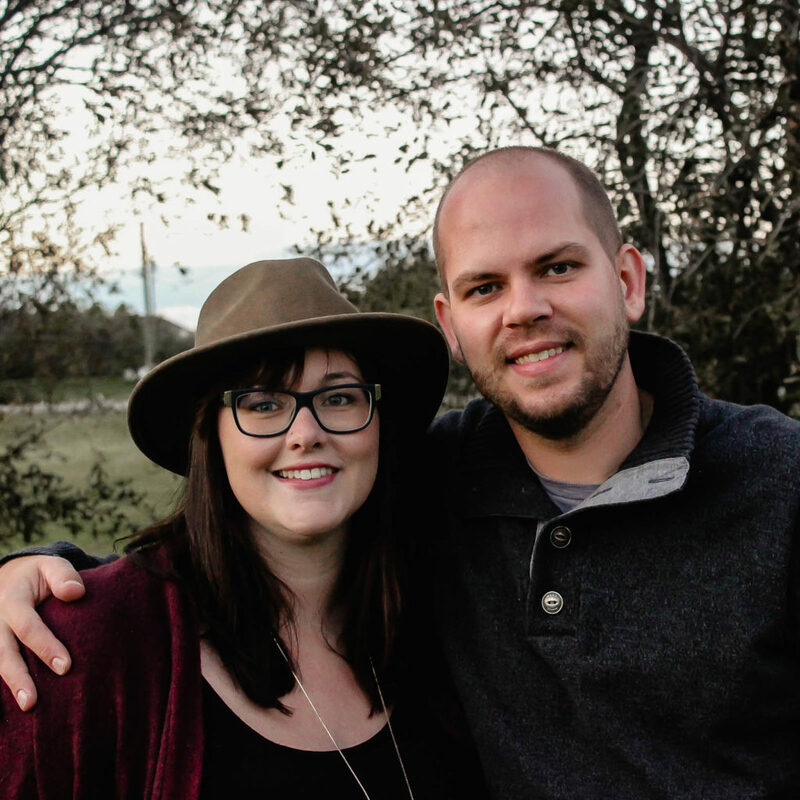 Thank you for sharing with us this week at Celebrate Your Story and we hope you will join us again next week. Thank you so much Sandra! It is definitely getting well-used over here already! lol. This is amazing. I am just done with a table, this is something I never felt before. I am so happy, I followed few others blogs as well, has made some add-ons, this is really cool. It is so nice! I really love that you added a good wine glass holder. Now if you can help me figure out how to take the kiddos from asking me 21 questions (each) when I get in the bath? Ha! 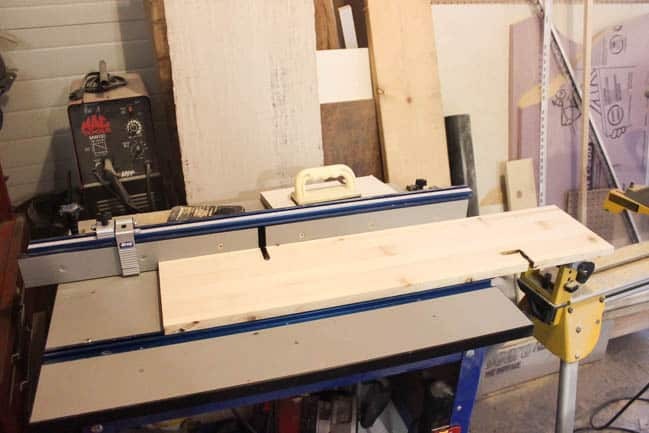 I love this, what an ingenious way to use a router table. 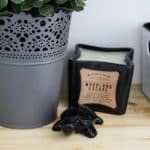 My wifes birthday is coming up soon and this sounds like an amazing way to create a gift for her that she’ll love. Such a good gift! I hope she loves it!! Hi Lindi! It looks amazing. It is a really great idea. The add a wine holder in the bath table is a really great idea.I really love that you add a good wine glass holder. Such a good gift.